The PSA PA10 .308 Upgrade kit includes the bolt catch, mag catch, takedown pin and pivot pin. The AR10 platform does not enjoy a common design between manufacturers, like the AR15. As a result, there can and will be subtle differences in the parts kits of various manufacturers. Some parts, like the fire control group, are shared with the AR15 platform to preserve the options for upgrading. For best results, we recommend only using PSA PA10 parts with our uppers and lower receivers. We do not recommend using other manufacturers parts in our products. Is this all that is needed to convert the AR15 lower build kit for use in the PA10? BEST ANSWER: This is the kit. Along with the .308 buffer. Need both. You cannot convert an AR15 into a PA10. Yes. It worked well for me. Yes. ALL YOU SHOULD NEED. What other lower parts kit fit psa gen 2 lower? Psa is good company but the stock on 308 is very very limited and not restocked often. Any chance you will get this in any time soon? BEST ANSWER: It's a must have for the pa10. Nothing else will fit. Does this include springs, etc.? BEST ANSWER: No, Hotkman - whatcha see is whatcha get. The purpose of this kit is to upgrade a mil-spec AR 15 lower receiver parts kit to use on a PSA PA10 receiver. The PA 10 uses longer pivot and takedown pins - the bolt catch is different and the mag catch is different. When I say different - the pins for a PA 10 are longer than most DPMS pattern AR 10s. You will need an AR 15 lower parts kit in ADDITION to this upgrade kit. No it does not. It uses the standard springs/detents that are standard with an AR15 lower parts kit. This kit is nothing more than an upgrade kit to use with a PA-10. No, just the 4 parts shown in the photos. You can take a standard AR15 LPK and combine it with the parts in this kit to complete your PA10. It does not. What you see is what you get. However it is much less expensive than buying the pieces separately. Will this complete the 308 lower with my ar 15 kit? Will this fit my 6.5 Creedmoor Lower? BEST ANSWER: Yes, it should, technically 6.5 and 308 lowers are the same it's the uppers that are different. The lowers use the same parts. It should if it is NOT a "Armalite" style lower. I remember something about three different AR-10 lowers, "DPMS" style is the most common. I had to use this kit because the bolt hold back wouldn't work on some magazines. As long as it is a palmetto state pa10 lower it will. Pa10 uses proprietary pins and ive heard the bolt catch as well. Mag release should use a standard ar15 but this kit has it all there. Works great on my pa10! Yes, it will fit both PA-10 and PA-65 lowers. Does this come with threaded bolt for bolt catch? Bought this to "upgrade" a standard LPK to finish my PA-10 Lower, however, upon comparing the magazine catch from multiple mil-spec LPKs from other manufacturers. The mag catch is the same. So I'm not sure why they are selling this kit with a mag catch. I emailed PSA support asking if they were supposed to be longer and uploaded picture and they said: "The parts you have are the correct magazine release." Quality, same as most Palmetto. These are proprietary parts for lower, so it would be awesome if they had a supply, along with the lower! You have to have this to finish a PA lower. As with everything prom Palmetto Armory these items are well made and finished. However, some of these parts just don't fit in to the AR-10 world of sorta defined specs, no problem except when I needed a small kit and it was $10 shipping to get it. I wish that you guys would use the Post office on small things. $2.66 first class is a MUCH smaller hit then FedEx or UPS's pocket draining rates. Don't get me wrong, I love everything from Palmetto! Another great PA 10 from PSA !! Used takedown n pivot pins only. Fits PA10 lower n PA65 upper perfectly. Used spare AR15 springs n detents without issues. Didn't have a lower parts buffer kit in stock that I wanted so I cheaped out and got outdoor sports kit. Which the mag catch didn't work out of spec and both pins stuck out like they were for a wider lower... Ended up having to get this kit after the fact and could just bought more expensive palmetto kit.. keep it palmetto all the way for AR10 builds. Turns your MOE EPT lpk into a PA-10 MOE EPT lpk. Nice! Good parts to install when knowing each step. Goog price also. Matched my DPMS lower perfectly. This plus a mil-spec AR-15 parts kit gives you what you need to finish a build on Palmetto's PA-10 lower. Parts are of good quality. 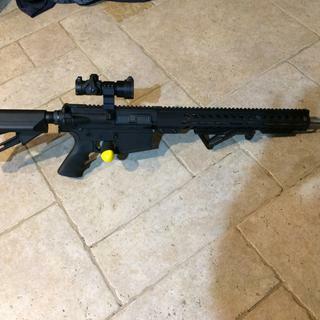 Parts were what I needed to finish a build and fit perfect look great in the finished rifle. Needed the pivot pin and mag catch. just fine. If there is a problem call psa they will fix it. Don't blame all your woes on the manufacturer. Take your time. Think it out. It will all work just fine. Order this to add on to an AR-15 lower parts kit to make it work with the PA 10 blem lower I purchased. Take down pin are the right diameter but the length were wrong and not just off by a little bit but off by quite a bit. If the pins would came correctly I'll give it 5 out of 5 stars on every category but since it came out of special and not just by a little I'm going to say quality is not exactly they're just like the QA standard is not exactly there. 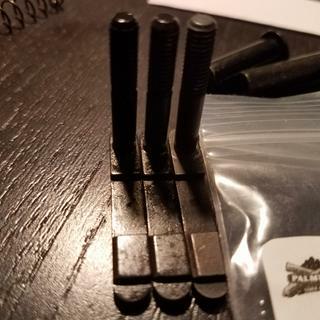 I contacted Palmetto and they sent out a new pair of lower pins so all in all it went well except for the inconvenience of having to contact them and get the correct part. Special	but still not right. Bolt catch does not pivot enough to function. Had to send my rifle (all PA10 except the DPMS AP4 barrel)back to PSA for repair. PSA repaired rifle and got the bolt catch to function properly by grinding some material off of the inside vertical surface and re-bluing. Bolt catch button strikes the upper when the bolt cycles leaving a silver half-moon ding in the upper. Magazine catch has to be threaded so far in to the button that there is air / light showing through the magazine catch cut out on the lower. Magazine catch functions but does not look like it fits properly. I bought parts for two builds and had the same issues with both lowers. PSA was really good about the return/repair but if you have to buy special parts for a build they should work out of the box. Did not hold the bolt back on two PA-10 builds. Required modification to work properly. Ordered two of these for PA-10 builds. Both had to be modified to fit and function properly in PA-10 lowers sent one back to PSA. Duplicated PSA modifications myself on second one to save 3 weeks of turn around time. Works fine now. These fit the receiver correctly and is cheaper than purchasing the parts separate.